Online Marketing vs Traditional Advertising - Why is there Still a Debate? It’s 2011, and even grandma’s on the Internet, so why is the U.S. advertising spend still heavily biased towards traditional media? Apparently, old practices die hard! Advertisers are somehow conflicted about abandoning the tried & true methods they’ve used over the past hundred years. Don’t get me wrong, I think Leo Burnett was a mastermind -- he created 20th Century icons Tony the Tiger, the Pillsbury Doughboy and the Marlboro Man. But that was then, and this is now. 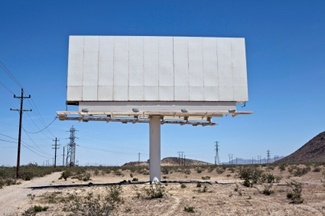 When is it time to retire traditional advertising methods in favor of online marketing? U.S. users spend 12 hours per week online, which represents about 32 percent of their media time. However, online advertising makes up only 13.6 percent of advertising spend in the U.S.” Susan Wojcicki, VP- Public Policy and Communications, Google. Speculation about what is holding back the shift to online marketing includes long-entrenched advertising behaviors, lack of digital skills in-house and lack of understanding or acceptance of changing consumer behaviors. In 2008, General Motors shocked the traditional advertising world when they announced they were shifting $1.5B of ad spend to the digital space. The obvious difference between Internet and traditional advertising is the ability to effectively track and target campaigns. This has always been the million-dollar question in traditional ad agencies. Measurability is a huge advantage in the ‘new world’ because of the ability to understand why, when and where customers need a product or service. Traditional broadcast methods such as TV, Radio, Newspaper, Direct Mail and outdoor only work when there is a static message directed at a wide audience. To create any kind of effectiveness measurement, one would have to be able to track opportunities (similar to impressions), engagement (similar to a click through rate), and conversion (any predefined and preferred action). Online, you can sell your product or promote your service 24/7 and track conversions in real-time. Specific targeting alone saves tons of cash on your marketing budget. For optimal effectiveness, online marketing/advertising provides the most flexibility for your reach and budget. Through analytic software, measurement metrics are readily available: impressions, clicks and click-through-rate (CTR), conversions and conversion rate. Impression data is the most valuable component, because it provides the number of opportunities that were available. If impressions are high, then a high conversion rate is a great metric to determine that the campaign was an overall success. Recently, Alterian ran a poll which finally illustrates the industry’s increasing awareness of the fact that traditional media channels just don’t deliver the results they used to. 40% of respondents anticipate a shift of over a fifth of their budget towards digital channels, with 21% of respondents predicting more than a third of their budget will shift. Forrester Research adds to this sentiment, stating, “Empowered consumers today expect a customized, interactive brand experience that goes way beyond a 30-second television spot or two-dimensional print ad.” Forrester expects interactive marketing/advertising channels to grow to nearly $55 billion and represent approximately 21% of all marketing budgets by 2014. Is it time for you to invest more in online marketing? Have you tried to make the shift from traditional advertising to online marketing, but haven't found the best channel yet? Let us know about your experience and methods of marketing you'd like to pursue -- we'd love to chat!